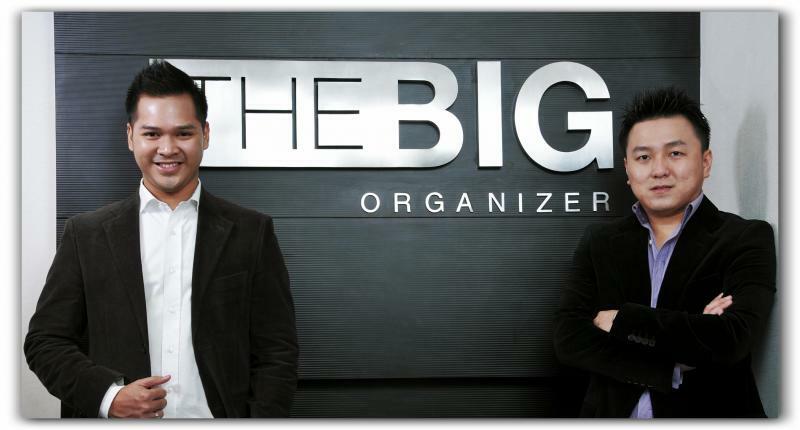 Steven Gan and Tiyas Mahardika, two men behind the founder of The BIG Organizer. It is an event organizer, established since September 2009, with a specialization of the party event, fashion show, store opening, brand anniversary, product launching, media gathering, exhibition and also private & wedding organizer. Tiyas Mahardika which has already plunged into the world of the organizers of the event are responsible as an Operational Director, complement Steven Gan who has an extensive social network, which serves as Managing Director. Running such creative service business, Steven Gan and Tiyas Mahardika invited and became a sister company of Great Heart Media who became a partner for concept and advertising company to strengthen The BIG Organizer. Many event organizers in Jakarta does not weaken the confidence of Steven Gan and Tiyas Mahardika to bring along The BIG Organizer among other successful event organizers. First, The BIG Organizer helps its friends among designers, working on the Grand Opening of boutiques. But as time went by, The BIG Organizer becoming wellknown in its circle of friends and communities. Grand opening of restaurants, fashion boutiques, corporate events and anniversary also the sweet seventeenth parties, began portfolios of The BIG Organizer. Since it was launched 9 years ago, The BIG Organizer had done more than hundred of events and also work with many designers and International Brands. The BIG Organizer now also become the Exclusive Event Organizer of Pernod Ricard Indonesia. The BIG Organizer has its own strategy and market within its position. Although it has been working on many high-end clients, did not rule out the possibility The BIG Organizer helps companies from other markets, but of course while maintaining the quality and performance. Quality is a top priority of The BIG Organizer in providing services to clients. The BIG Organizer has a team who work professionally to ensure the satisfaction of its clients. The BIG Organizer is very special, as it always bring great concept of events with great qualities. Fashion TV Anniversary at the Ritz Carlton Hotel, Pacific Place Jakarta and The Grand Opening of The Upper East Boutique in Grand Indonesia, Jakarta, are two of biggest events The BIG Organizer has run in 2010, following Opening Party Mad for Garlic, Launching Party and Anniversary of Screenplay Productions, Media Event for TISSOT, Annual Party Valbury, Christmas Crystal Party with Pacific Place & Swarovski Element Austria also Grand Launching of PT. Ashmore Asset Management Indonesia, Grand Opening MD Place, Pablo, 25th Anniversary Indosurya Group and also the other successful events that The BIG Organizer held in the following years. In 2014 The BIG Organizer also organized The Grand Opening of Love F Hotel Bali by fashiontv, the first fashiontv Hotel in the world, Martell 300th Tricentenaire celebration and closing party at Grand Ballroom Kempinski Hotel in 2015, OPPO R7 Launching, ABSOLUTEX Gala Party & Tex Saverio 1st Couture Presentation by Absolut Elyx, the Launching of Chivas Regal Extra﻿, The Launching of Martell NCF and also recently Premiere Ayat Ayat Cinta 2 and Equilibrium by Rinaldy Yunardi X Absolut Elyx. As a growing company, The BIG Organizer continues to pursue its dream. With its philosophy “Work Hard and Networking”, The BIG Organizer is ready to be BIG!! !